We were just informed that The Anastasi Room was double-booked and, due to circumstances beyond our control, we got bumped. The UnUsual Suspects Holiday Arts & Crafts Festival will now be held on Saturday, November 1, 2008. Same place, same time. If you've already submitted your application, please check your e-mail for important information about your application. If you haven't yet applied, well, what are you waiting for? The deadline to apply has been extended to October 1st! If you wanted to apply but weren't available on the 2nd, you're in luck! Hopefully, everyone will still be available, and having the show on Saturday instead will actually bring in more traffic! Click here to apply or here for the vendor FAQ. 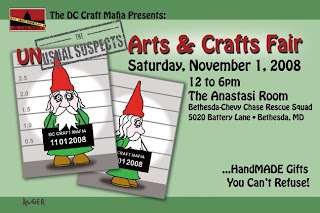 The DC Craft Mafia is pleased to announce a call to Artists and Crafters for its annual craft fair, The UnUsual Suspects Holiday Arts & Crafts Festival, to be held November 1, 2008 (PLEASE NOTE this important date change). Deadline for applications is September 28, 2008. Click here to apply or here for the vendor FAQ. The event will be held at The Anastasi Room at the Bethesda-Chevy Chase Rescue Squad, 5020 Battery Lane, Bethesda, Md. Over 50 vendors will be chosen to feature a wide selection of handcrafted gifts in all price ranges, from bath and body care items, glass art and home decor, fine art and photography, clothing and handbags, toys, paper goods, accessories and artisan jewelry. DCCM designer Shelley White of Glitteryblue has been selected to represent the Nation's Capitol for the next Shecky's Girls Night out Event when it returns Sept. 16-18 to DAR Constitution Hall. She will be featured as their "Lust of the Day"and in their email "Hot Picks" newsletter. For tickets and more info please visit http://girlsnightout.sheckys.com. Shop up to 50 emerging designers on sale and sip delicious complimentary cocktails and beverages. Must be 21 to enter! Hope to see you there! DC Craft Mafia has new blood! We are super excited to introduce our newest members. 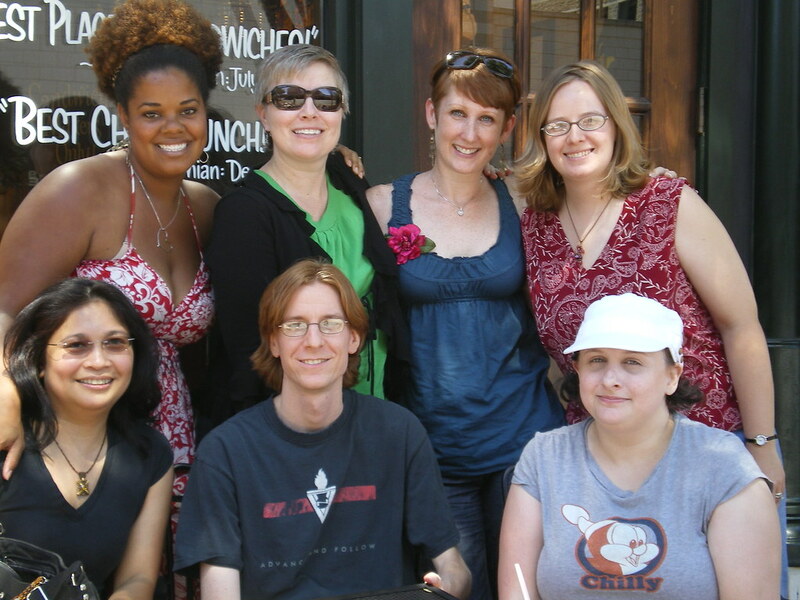 Amy of Oblinaknit, Shelley of Glittery Blue, Beth of Polly Scoots & Renee of Ugly Kitty. 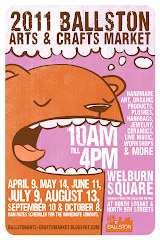 Our members recently got together to discuss this year's craft show. Crafty folks, be on the look out for applications very soon! We plan to hold it at The Bethesda Fire & Rescue Squad (The Anastasi Room) just like last year.